Family owned and operated since 1983, by women and an opa… Embracing traditional german cuisine while creating seasonal american food through a contemporary bavarian lens. Bending typical beer hall expectations one stein, schnitzel and spätzle at a time. In 1983, Roy and Lydia Hoertz began the second great adventure of their lives and purchased Herzog’s from the Herzog family to become the second German owners of the 100-year-old German Cleveland restaurant establishment. Roy and Lydia met in the alpine hills of Germany. Roy offered to buy Lydia a drink; she politely declined— again and again…. Thousands of miles from Germany, five children, 10 grand children, 6 great grand children later- the legacy of their strength and love lives here within the walls of Der Braumeister. The cypress wood walls, deer heads and solid oak bar will take you and your loved ones back to that moment when Roy and Lydia first met.  Linda Hoertz and Jenn Wirtz became second and third generation owners of Der Braumeister in 2016. While embracing traditional German cuisine they create American food through a contemporary European lens. Der Brau celebrates local vendors and seasonal specials with a farm to table initiative to help bend typical beer hall expectations. Offering 40 different German beers, 30 Belgian beers and 24 American craft brews, get ready for beer babbling expertise in a authentic rustic atmosphere at one of Cleveland’s oldest bars and restaurants. We will continue to embrace a strong German tradition through lagers, schnitzels, and strudels. However, we hope to bend typical beer hall expectations with craft beer, seasonal tastes from local vendors, and an authentic rustic atmosphere. Our ongoing vision includes a staff ready to beer babble with you at our Cleveland Westside restaurant as we simultaneously expand our second and third generation roots throughout Northeast Ohio with catering, events, and festivals. Connecting with local vendors and farms to bring a Munich palate home, one quality dish and stein at a time.